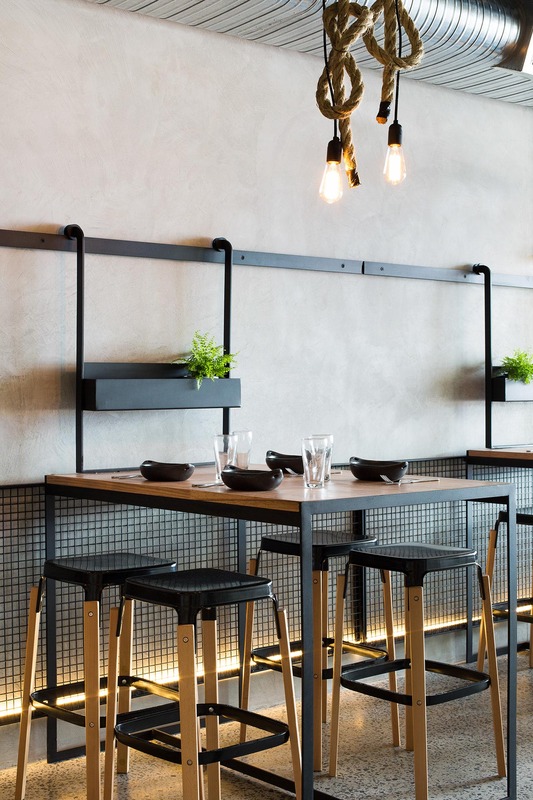 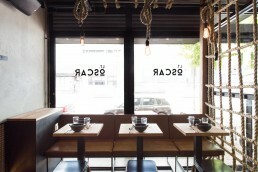 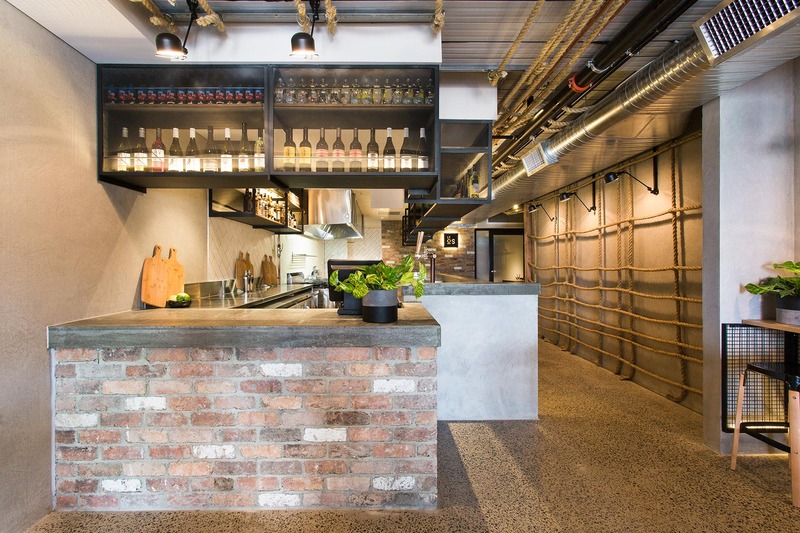 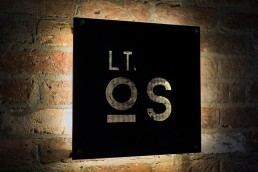 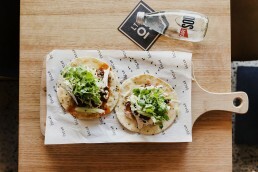 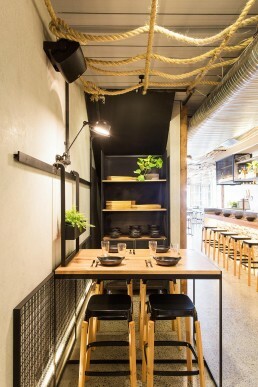 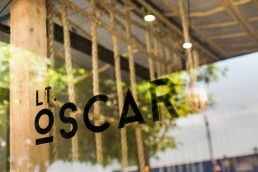 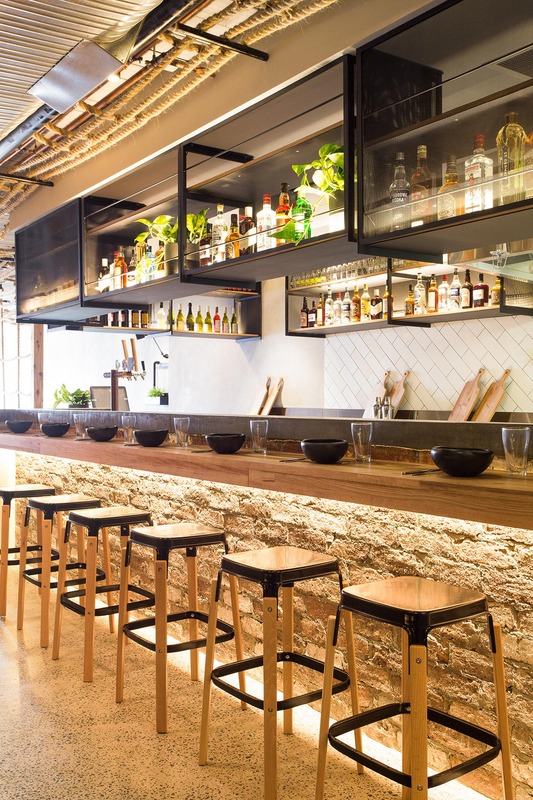 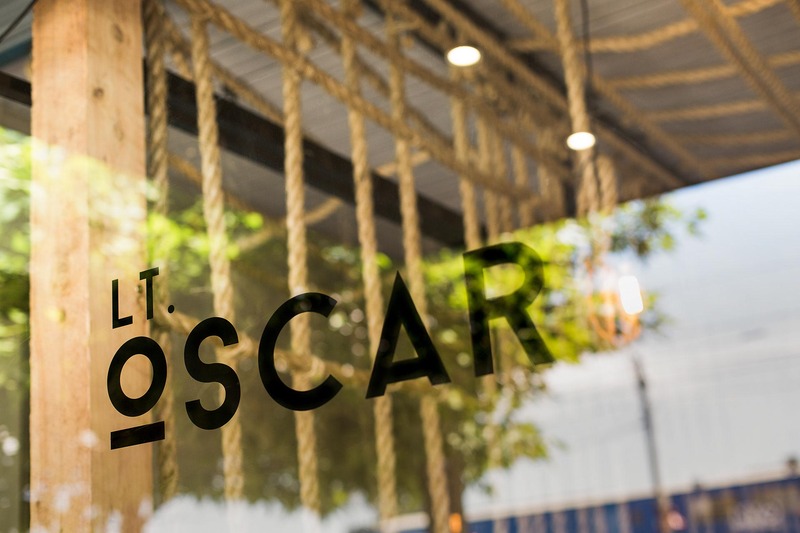 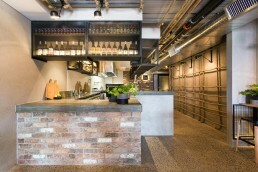 Nestled in the culinary heart of Brunswick, Lygon Street is the ideal location for Little Oscar, the restaurant and bar setting out to redefine the typical burger dining experience by fusing American and Korean flavours. 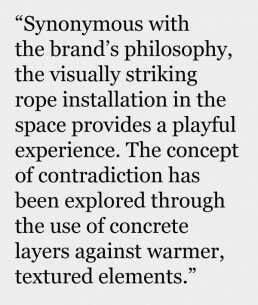 A notion of intrigue and contradiction is created through a variety of sleek layered concretes placed against warmer, textural elements. 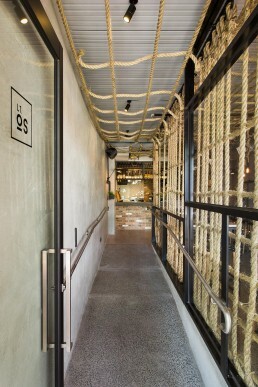 Ceilings have been lowered and lighting is soft and warm, providing a level of intimacy and comfort. 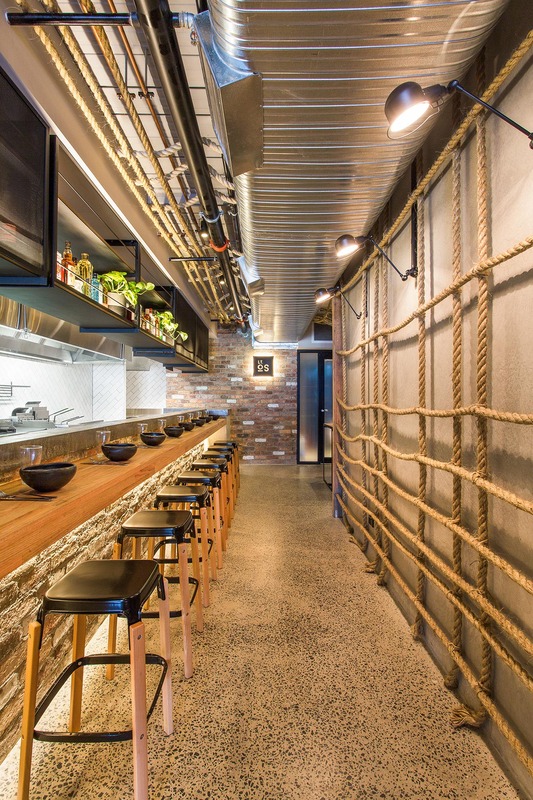 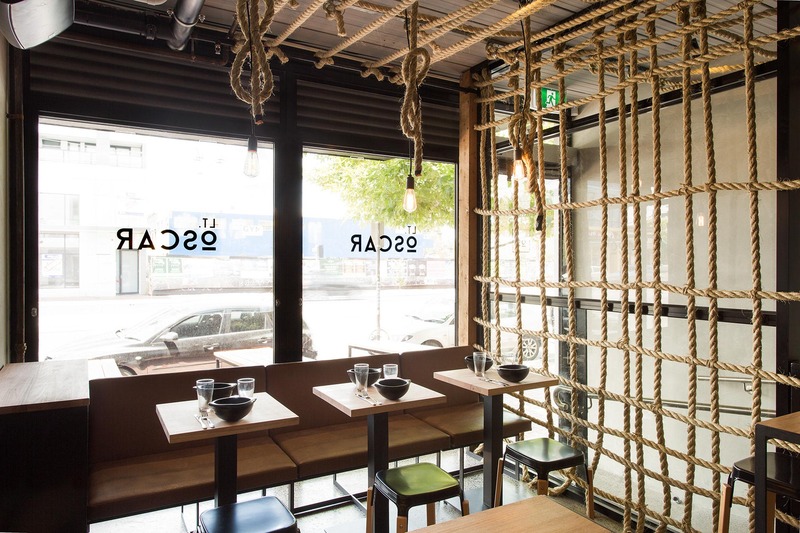 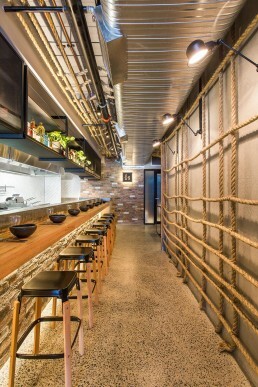 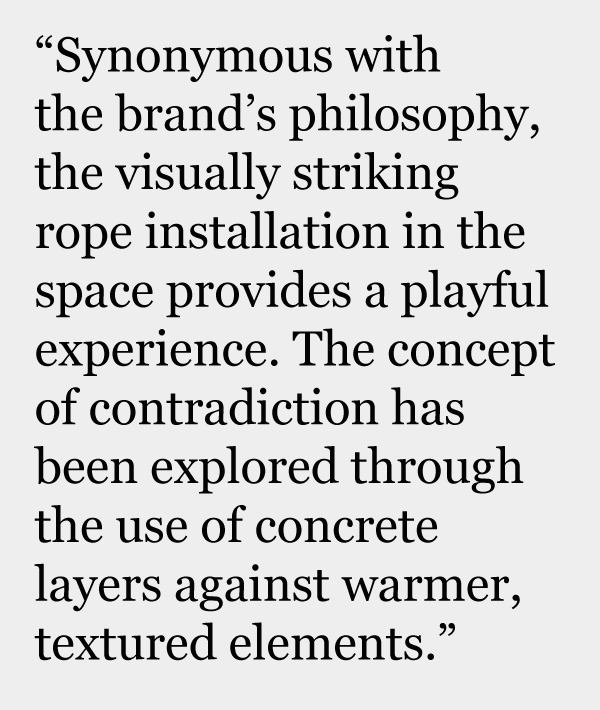 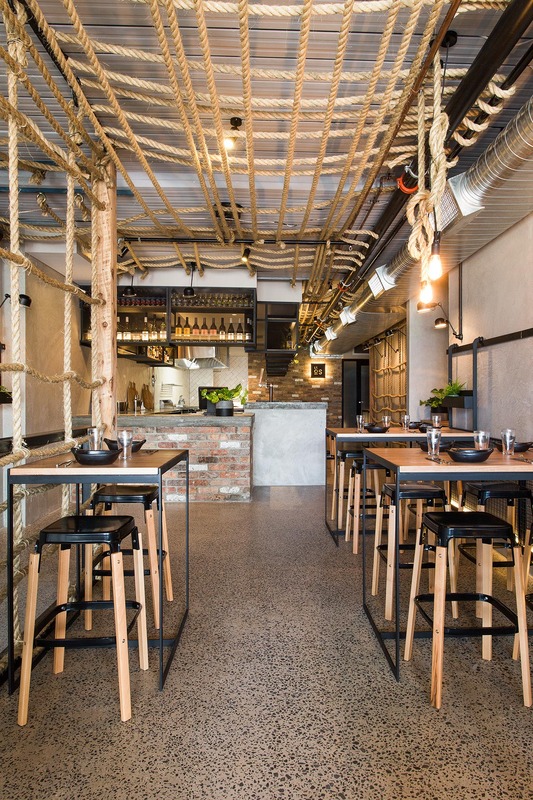 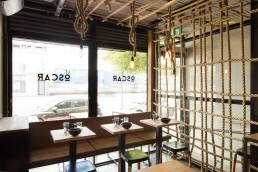 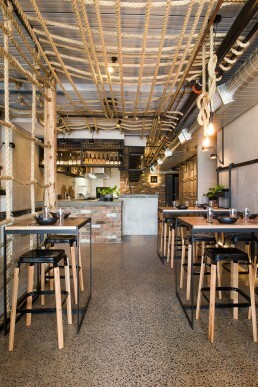 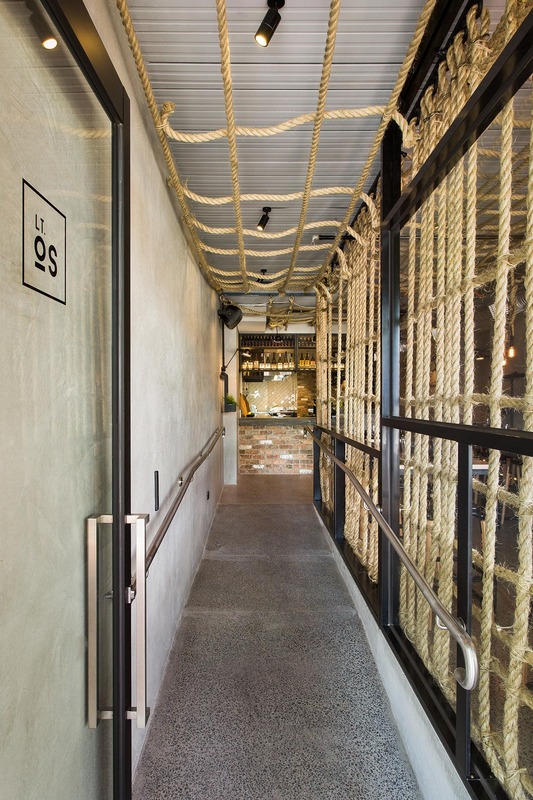 Synonymous with Little Oscar’s progressive brand philosophy, the visually striking rope installation throughout the space provides a playful and inviting experience.